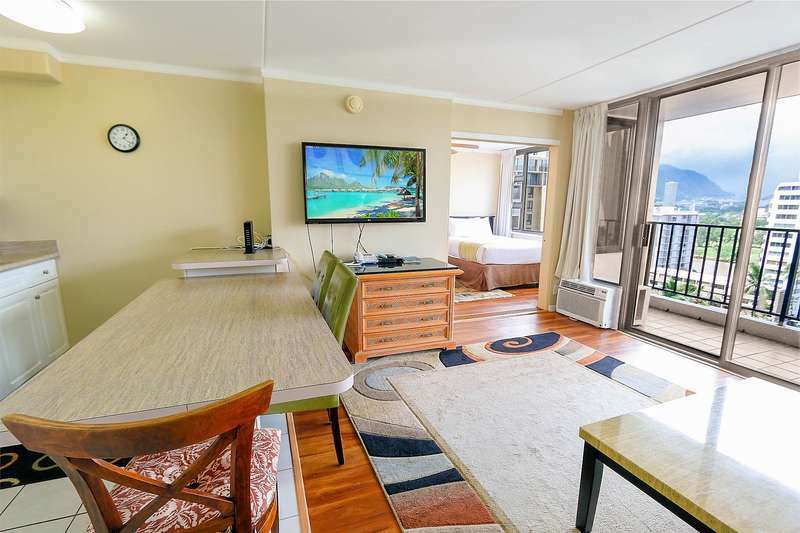 Watch the surfers from your lanai in this deluxe 21st floor ocean view suite. 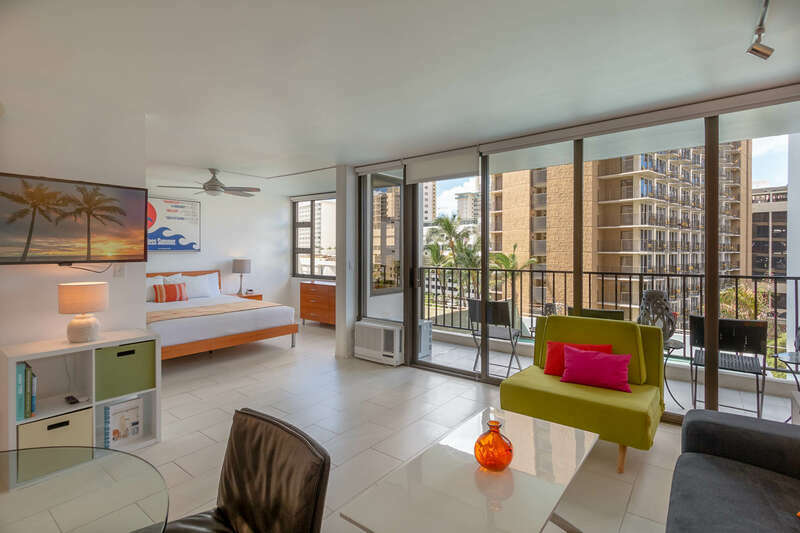 We have gone out of our way to upgrade this unit to make your stay in Waikiki spectacular. This condo fills very fast so please reserve now! Fully upgraded kitchen, bathroom, and living area. This kitchen has stainless steel appliances, granite countertops, and kitchenware. Kitchen includes refrigerator, range, microwave, rice maker, coffee maker, and other kitchen wares. Unlike most Waikiki units, this condo has a dishwasher - after all you are on vacation! Plus, there are two doors to access the bathroom giving more privacy to bedroom occupants. Sleek tile throughout all living areas and carpet in the bedroom. Convenient sleeping arrangements include a California king-sized mattress in the bedroom, along with a queen-sized sofa sleeper in the living room. The bathroom has a vessel sink, beautiful tile, and stainless steel accents. The shower includes a traditional head, plus a hand shower for your comfort. 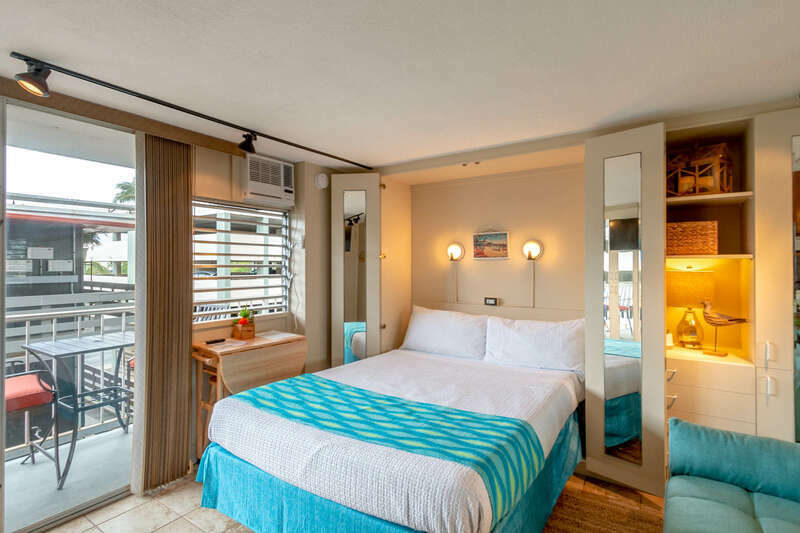 Save money and enjoy the convenience of a fully-equipped kitchen, FREE covered parking, TV with cable, FREE in room WiFi, FREE local and toll free phone calling, and an A/C unit in the living room. We have gone out of our way to make your stay in Waikiki spectacular so take advantage of all the extras we provide.